House for Rent in Dasmariñas Village. House for rent of 480sqm, consisting of 4 bedrooms located at Makati, Metro Manila. Four Bedroom House for Rent in San Lorenzo Village. San Lorenzo Village, Makati CityLot area: 350sqmFloor area: 400sqm4 bedrooms upstairs + 2 rooms downstairs, pocket garden, maid's room/driver's roomPhp205,000 inclusive of VAT. Minimum one year lease. House for Rent in Bel-Air Village. House for rent of 400sqm, consisting of 4 bedrooms located at Makati, Metro Manila. San Lorenzo Village, Makati CityLot area: 600sqmFloor area: 800sqm4 bedrooms, 4 toilet and bath, den, lanaiPhp250,000 per month. Minimum one year lease. San Lorenzo Village, Makati CityLot area: 560sqmFloor area: 340sqm4 bedrooms, 4 toilet and bath, 3 storeyPhp200,000 inclusive of VAT. Minimum two year lease. Newly Renovated 4 Bedroom House for Rent in Bel-Air Village. Bel-Air Village, Makati CityLot area: 205sqmFloor area: 340sqm4 bedrooms, newly renovated, pocket gardenPhp250,000 w/ VAT. Minimum two year lease. Three Bedroom House for Rent in San Lorenzo Village. San Lorenzo Village, Makati CityLot area: 450sqmFloor area: 400sqm3 bedrooms, 2 toilet and bath, den with toilet and baht, lanai, maid's room, driver's room.Php195,000 per month. House in Makati, Forbes Park for Rent. For Rent House and Lot in San Lorenzo Village Makati. Large Upscale 2 Storey House in San Lorenzo Village Makati For Rent. Brand New 3 Storey Duplex in Bel Air Village for Rent. Dasmarinas Village 3BR House Rent Makati City REMAX Central. 2 bedroom fully furnished with parking the regency salcedo. 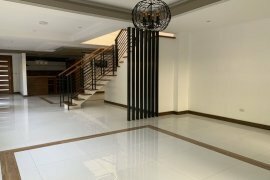 San Lorenzo 4 Bedroom New House Duplex For rent in Makati City. Furnished House in San Lorenzo Village Makati For Rent. Furnished 2 Storey Duplex in San Lorenzo Village Rent. Dasmarinas Village, Makati City Bungalow House. 4 Bedroom Dasma House for Rent. Beautiful Large 2 Storey House with Swimming Pool in Dasmarinas Village RENT. 2 Bedroom Bel Air House for Rent. Huge 2 Storey Palatial House in Dasmarinas Village Rent. 4BR Bel Air House for Rent. 3 Bedroom Bel Air 2 House for Rent. 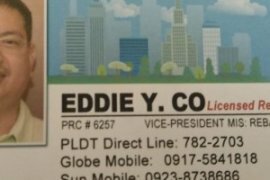 Hello, Please contact me, I am interested in houses for Rent in Makati. Best Regards. There's no denying that Makati City is one of the most prominent cities in the country. It's the Philippines version of Wall Street after all. This is the place where business, money, and opportunities happen. Living and working in Makati City is a dream for many Filipinos. Makati City is a melting pot of opportunities. People move to Makati City to seek jobs and new beginnings. An evidence of the growing economy Makati is its amazing revenue in 2014 worth P12.7 billion. There are more than 270 business outsourcing companies that can be found in the city. Forty percent of the top international and multinational companies are also here. Makati is also known for being a diverse city. It welcomes people from any ethnicity, gender, and age, making it the ideal city for expats. Because of this, people who search for house for rent in Makati 5k every month is very common. Aside from being a paradise for employees, Makati is slowly reinventing itself to become a hub for young professionals and millennials. Art galleries and theaters are all over the city to please art enthusiasts. Food parks and restaurants come alive every night to entertain both the old and the young. Night clubs feature amazing international acts. And of course, shopaholics everywhere will have a great time with Makati City's more than 45 shopping malls. Makati is also known for having state of the art traffic system that allows people to follow strict traffic rules. It's also very friendly to those who prefer walking from their home to work. Apartment for rent in Makati differs in space and in prices. There are top of the line properties perfect to those who prefer a luxurious lifestyle. Cheap apartments are also available to those who are on a budget. 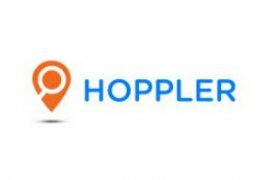 Dot Property is Philippines’s leading online real estate rental resource, listing 222 affordable houses for rent in Makati. Save this search to receive emails when new houses for rent are listed in Makati. Rental properties in Makati are provided by Philippines’s top real estate professionals and private home owners. The average houses in Makati rental asking price was ₱ 276,390 on 1 Apr 2019 and the average size was 534.8 square meters with 4.1 bedrooms. Agents such as Michelle Madarang - Trusted Real Estate Broker, Gena Mahinay-Rilling and loreza 'dexra' asistio can also help you speed up your houses search in Makati. You can also create your own rental listing by uploading your houses for rent for free in two easy steps - signing in and creating a property ad. In addition to rentals in Makati. Dot Property also provides houses for sale in Makati should you like to compare availability.